The burnt-out remains of dozens of tanks and armored vehicles in fields near this small village bear witness to the ferocity of a battle that turned the tide of the conflict in eastern Ukraine. 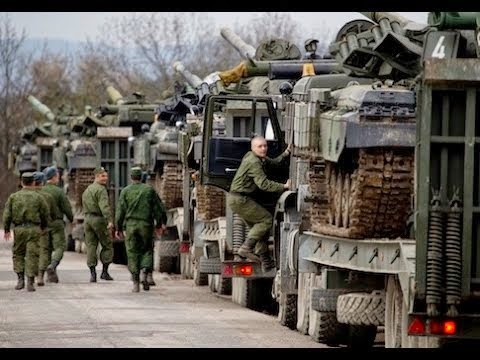 Most of the tanks were used by the government forces routed in August near Horbatenko, 40 km (25 miles) southeast of the rebel stronghold of Donetsk, a defeat so demoralizing that days later Kiev agreed a ceasefire with pro-Russian separatists. "It is operated by the Russian Army in large numbers, but crucially it is not known to have been exported or operated outside of Russia," Joseph Dempsey, a military analyst for the London-based International Institute for Strategic Studies, wrote in late August when a tank like that was discovered on grainy footage of rebel convoy. "The presence of this variant in Ukraine therefore strongly supports the contention that Russia is supplying arms to separatist forces," Dempsey said. 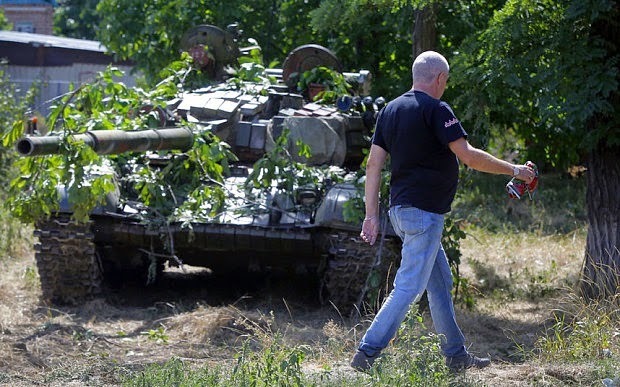 Ukraine's Security Council, which groups the country's top political, defense and security chiefs, said in June the separatists were using T-72 tanks that could not have been captured from the Ukrainian army. The Ukrainian Defense Ministry did not respond to a request by Reuters for more details of the decisive battles that followed soon afterwards but Ukrainian soldiers caught in the battles say they were quickly overcome. Alexei Koshelenko, who said he was captured on Aug. 24-25 near the town of Ilovaysk, said: "We were hit by (multiple rocket launcher) Grads and after that the troops just swept us away. We were completely defeated within 20 minutes. Many of us were killed, others are missing." "They were Russians," he said after being released with other prisoners of war. Referring to a city 300 km (200 miles) northeast of Moscow, he said: "They said they were an airborne assault battalion from Kostroma." The accounts of residents of Horbatenko, a village of a few dozen inhabitants which overlooks the fields that became the battlefield, also challenge Russia's denials of direct intervention. "We saw an armored convoy coming down here," she said. "They had white circles on the armor and white flags but whose troops they were we don’t know." Neither the rebels nor the Ukrainian forces have white circles as their permanent recognized emblem. But another local resident, who gave her name only as Nina for fear of retribution, said she had been told the meaning of the white circles in conversations with passing soldiers who identified themselves as Russian. "One of them told me: white circles mean this is Russians," she said. "He came to the last house for some water to drink and I asked how you can tell the difference between a Ukrainian or Russian. He said that if it's us, there are white circles on the tanks." The two damaged tanks were too badly burned to have any recognizable insignia but a destroyed Soviet-made BMP-2 armored personnel carrier a few hundred meters away also bore a white circle on its broken turret. Residents of areas on the Ukrainian side of the border with Russia also reported seeing armored convoys marked by white circles on Aug. 26. 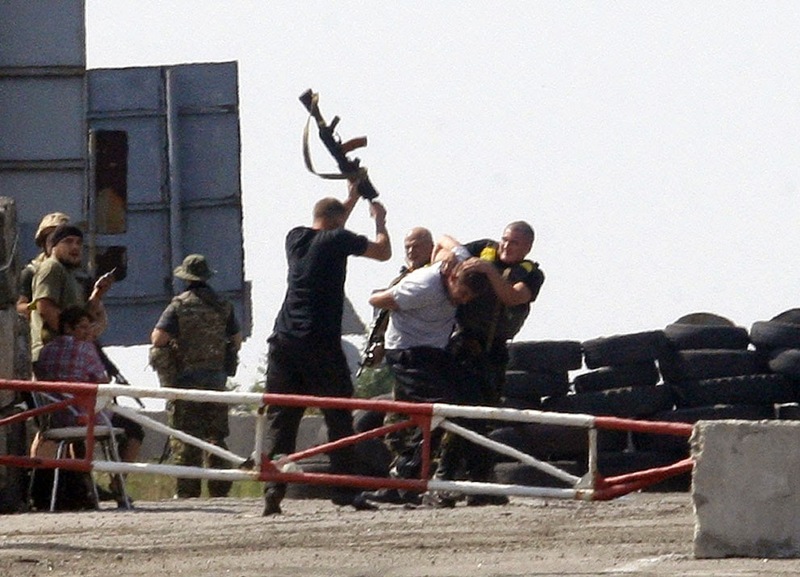 Two days later Reuters spotted an armored convoy with the same insignia on the Russian side of the border. "The presence of the Kornet ATGM is noteworthy and while it has been exported widely by Russia this list does not include Ukraine. As such, it further supports Russian involvement," the International Institute for Strategic Studies told Reuters. A Reuters reporter counted 124 packages of field rations with "not for sale" labels and notes that they were produced for the Russian Defense Ministry. A spokeswoman for Voentorg, the company in Russia that produces such meals for the Russian Defense Ministry, confirmed they cannot be sold. About 50 empty bottles of mineral water around the tanks bore labels identifying them as being produced in Russia's Ivanovo province, the region where the division of the Russian paratroopers captured in August is based.Although Moscow has denied any direct involvement in the conflict, graves have been found in Russia with the remains of Russian servicemen who relatives, friends and human rights activists say were killed in Ukraine. Moscow and the rebels have said that any acting servicemen from Russia were volunteers. Asked about the presence of Russian arms and field rations in Ukraine a spokesman for the Russian Defense Ministry said: "We have the answer and it has been given multiple times." Ukraine's Defense Ministry did not reply to a request from Reuters about the losses near Starobeshevo.